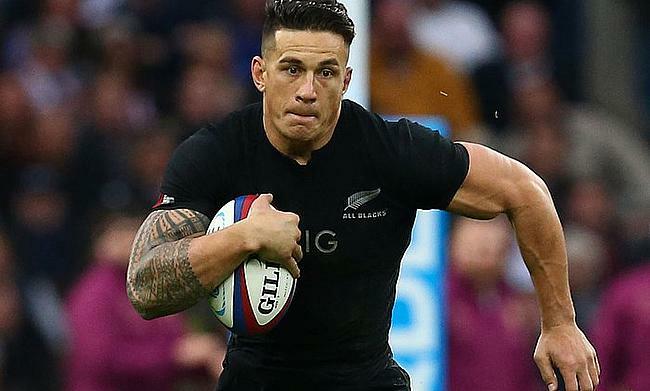 Rugby players with tattoos are being asked to cover them up during next year's World Cup in Japan. The request by the sport's governing body World Rugby is to avoid offending people in Japan. It is somewhat of a taboo in Japan to be seen in public with a tattoo. Tattoos are usually associated with the notorious yakuza crime gangs, for whom tattoos are a source of great pride. Many swimming pools, gyms, bath houses and onsen in Japan ban people with tattoos from using their facilities. However, in 2016, Japan's tourism agency asked onsen to relax their rules. It said tourists had tattoos for very different reasons. The agency suggested giving tourists stickers to cover their tattoos. The Rugby World Cup director Alan Gilpin said all the competing teams understood the cultural sensitivity in Japan regarding tattoos. He said: "When we raised it with the teams a year or so ago, we were probably expecting a frustrated reaction from them, but there hasn't been at all." He added that the players want to respect Japanese culture. He said the wearing of a vest used for watersports would be a form of "self-policing" among the players. The famous All Blacks rugby team from New Zealand has confirmed that its players will comply with the request. It said: "We endeavor to be respectful of the local customs and culture, and this will be no different when we visit Japan." 1.Rugby players with tattoos are being asked to cover them up during next year's World Cup in Japan. He suspects there's a conspiracy to cover up the crime. 2.The famous All Blacks rugby team from New Zealand has confirmed that its players will comply with the request. X-rays have confirmed that he has not broken any bones.